Hello from Boston! The last few weeks have been hectic with moving into my new apartment, starting my job (!) and running what feels like endless errands, so I apologize that this post is so late! 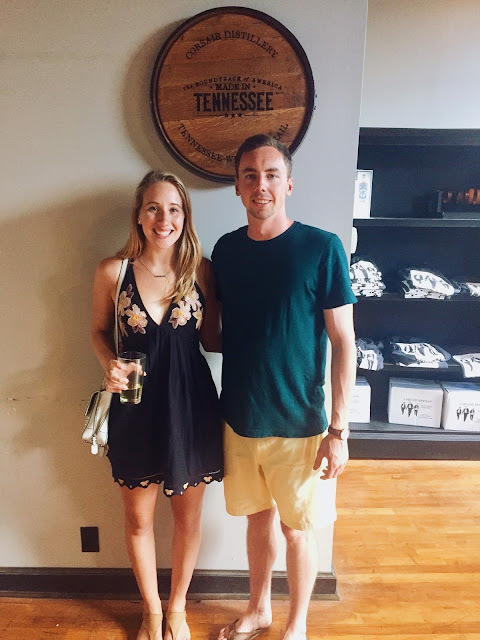 Anyways, before all this craziness, John and I headed down to Nashville for a few days for a bit of a last hurrah before joining the real world. We stayed in an Airbnb outside of the main district, in the Cleveland Park area. It was exponentially cheaper than staying in the middle of downtown and was about a $7 Lyft each way. In order to get a lay of the land before arriving, and in case we found ourselves lost (never...) I made a custom Google Map with all of the spots I knew I wanted to hit, then gave each a custom icon depending on if it was a store, restaurant, bar, live music venue, sight, photo op, etc. Although it definitely takes some time to put together, I can't recommend it enough! Whenever we found ourselves with free time I would pull up my map and find another place to visit that was in the area. Although it was in the high 80s and 90s, we walked everywhere and really got a feel for the city in our short time there. What we soon came to realize was how spread out the city is. The strip of Nashville, Broadway, where all the bars and live music are, is actually pretty small and the other neighborhoods are relatively far away (usually a Lyft drive). So, I figured for this travel guide I'd break it up by neighborhood as we found success in dedicating each day to exploring one or two neighborhoods, rather than running (aka Lyfting aka spending even more money) all over. 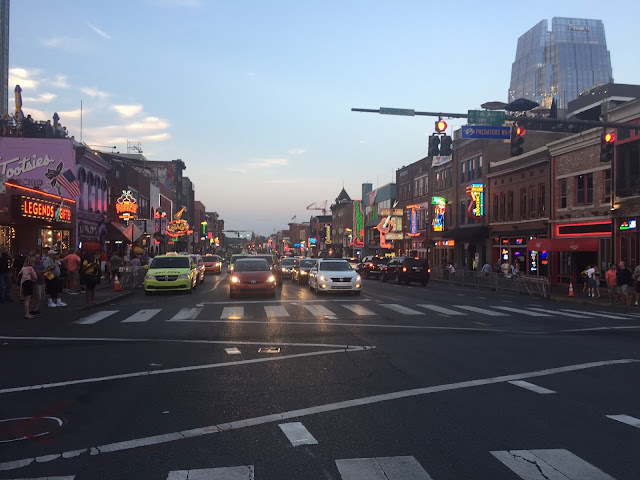 Broadway - This is what most people think of when they picture Nashville: the honky tonk bars, live music emanating from every corner, and people everywhere. What surprised us what that the area itself is pretty small. It's certainly fun, and the go-to spot for going out at night, but during the day there isn't a ton to do. In terms of attractions, the Ryman Auditorium and Country Music Hall of Fame are nearby and must-visits. For live music, you can honestly just walk up and down the street and see who you like, but we went to Tootsie's, Rippy's, The Stage, and Tin Roof. In terms of restaurants, they're almost all touristy and over-priced, so we tried to find ourselves in other neighborhoods for meals. For pre-dinner drinks don't miss Acme Feed & Seed's rooftop bar overlooking the river and/or Pinewood Social with their bowling alley and outdoor pools. And if you do find yourselves there for dinner the Taco Tuesday deal at Cerveza Jack's is not to be missed, and The Stillery was great as well. Otherwise, hit up another area. The Gulch - Southwest of Broadway, this small neighborhood has a lot of charm and you can easily spend a morning exploring the various side streets. 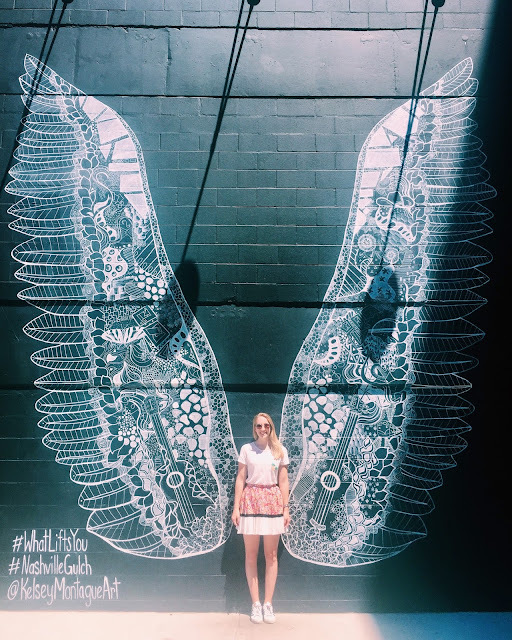 Of course, every Instagrammer's dream, the What Lifts You Wings, are a must-visit. In terms of food, if you're in the mood for biscuits for breakfast head to Biscuit Love, but expect a line. When you need a little pick-me-up, don't miss Colt's Chocolates (free samples!) or Barista Parlor for coffee. There's also a bunch of local breweries in the area that you can tour like Yazoo and Jackalope. For dinner, go to Saint Anejo; when I say we rolled out of that restaurant I'm not exaggerating. West End/Music Row - On the west side of Broadway, bordered by Vanderbilt, is the West End. 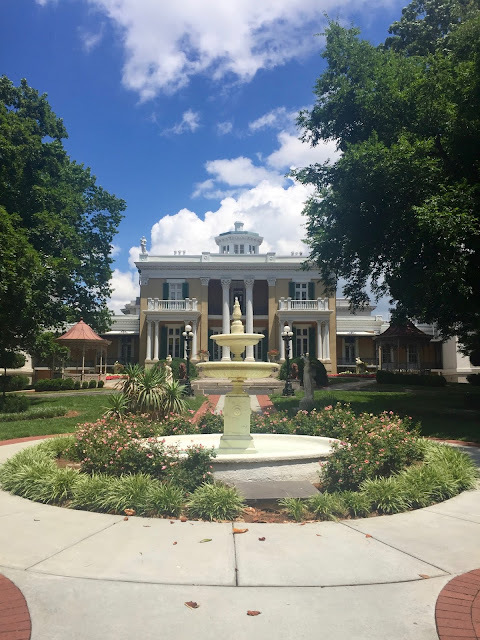 Although not as picturesque as some other areas, it does have Centennial Park, where you can see Nashville's "Parthenon" and relax on the swings throughout the park. 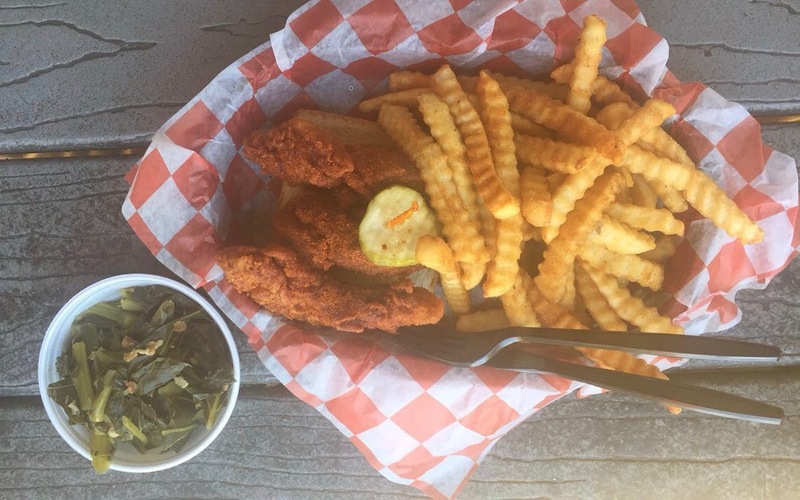 When you've started to get hungry (or hangry in my case) head over to Hattie B's for their famous hot chicken. Expect about a 20 minute wait, though. Afterward, walk off your meal with a stroll down Music Row. Although there's not a ton to see, it's cool to walk by all the recording studios and see the signs up of which recent hit singles were produced at each. Belmont/Hillsboro - Not too far past Music Row, you'll end up on the border of Belmont and Hillsboro. The little area along 21st Ave South was one of my favorites, with cute coffee shops and local boutiques all over. Before shopping, fuel up at The Grilled Cheeserie (they have gf bread!) and grab coffee at Fido. 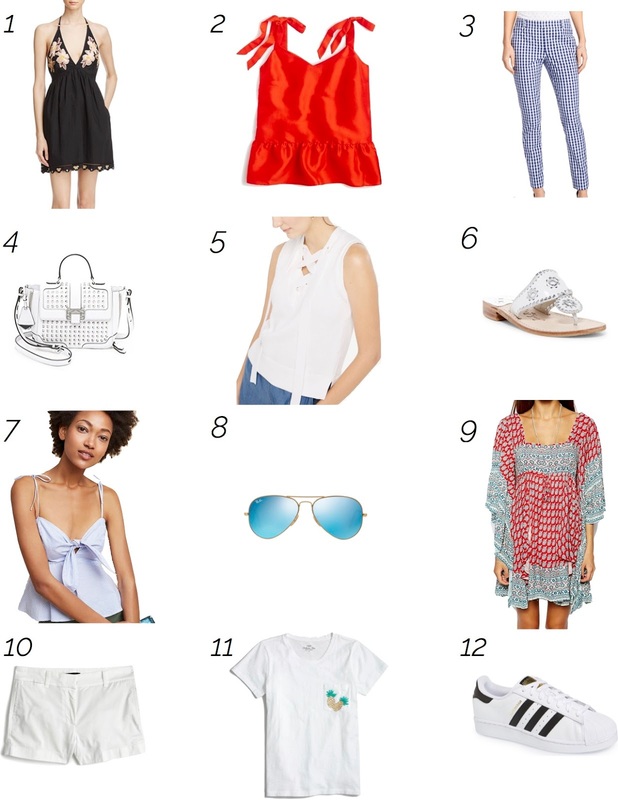 When it comes to shopping make sure to visit The Impeccable Pig, UAL (they had Loeffler Randall shoes for $30-$50...still kicking myself that I didn't buy any), Pangaea, and also Onward Reserve for men's clothes. If you have time walk around Belmont University's campus; it's beyond beautiful and impeccably maintained. It also features the Belmont Mansion, which you can tour for a fee. 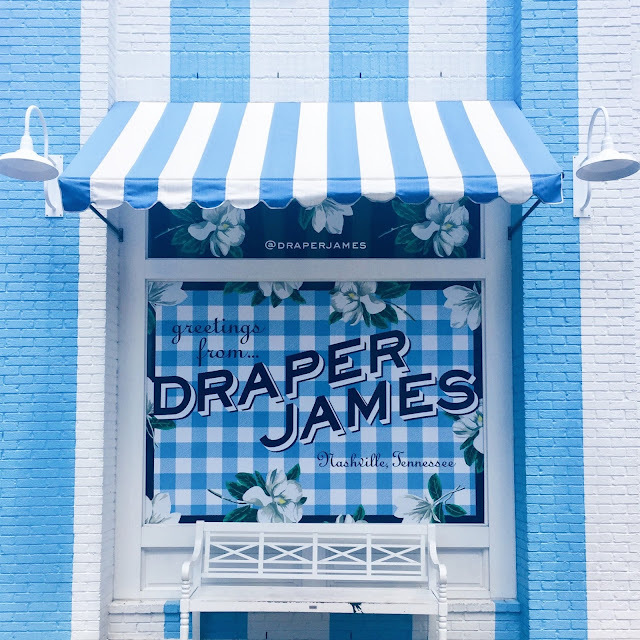 12 South - A shopper's dream, there's a reason Reese Witherspoon's boutique, Draper James, is stationed here. I think I dragged John into every store on the main drag, but the prices at most were incredible and I was just getting a feel for the neighborhood and local vibe, you know?! Definitely visit Vinnie Louise, Savant Vintage, Serendipity, and White's Mercantile. Also in the area is the I Believe in Nashville mural. For food, we had a quick lunch at 12South Taproom & Grill, but there seemed to be a large variety of different places. But, you have to finish the meal with some ice cream at Jeni's, or some donuts from Five Daughter's Bakery. 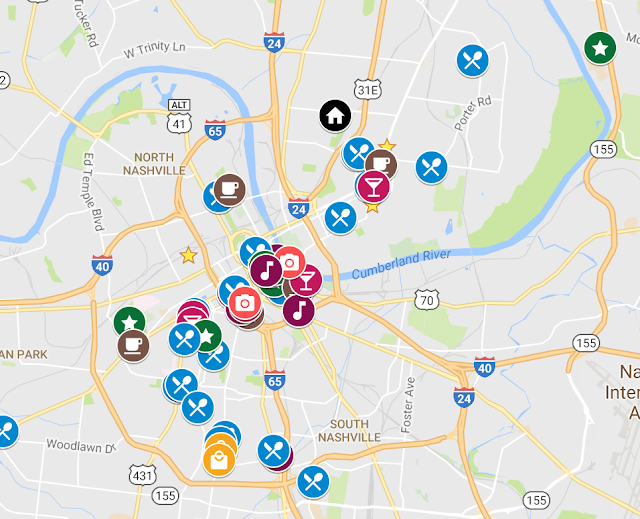 East Nashville - Now this is an eclectic area, like the Brooklyn of Nashville. We spent our entire last day out here exploring the various shops and boutiques. Begin your morning with brunch at Marché Artisan Foods (worth the wait), then head over to Art & Invention to explore the interactive gallery. 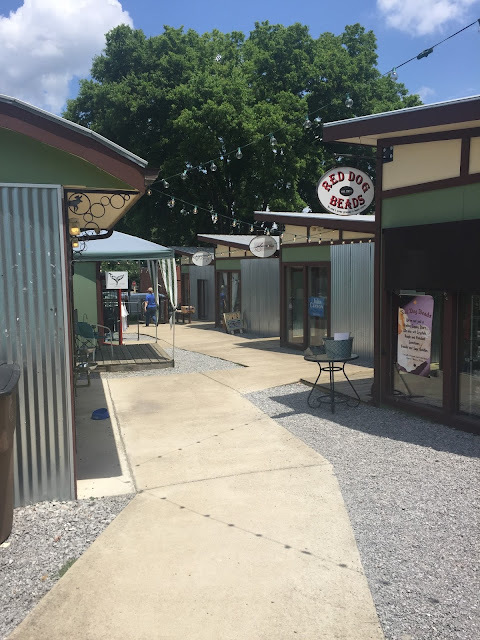 Next door is a cute little pathway with small boutiques lined up along it. Then head down to The Shoppes on Fatherland for more little stores. Also check out Gift Horse, I got an new poster there that I'm a little in love with. For some caffeine, don't miss Barista Parlor, the ultimate hipster coffee joint. For lunch, head back up to Mas Tacos Por Favor, a Nashville institution. Be prepared to wait in line and suffer a bit inside from the heat, but the food is delicious and cheap so #worthit. For post-tacos ice cream head to The Soda Parlor, a retro ice cream shop with arcade games. Although this is farther out than East Nashville, you have to see a show at the Grand Ole Opry! It was a blast and cool to feel a part a southern tradition. North of Broadway - I'm not exactly sure what to call these neighborhoods so I'm just going with the area north of Broadway. Enjoy brunch at 417 Union or Frothy Monkey (plenty of gf options!). Somehow we randomly found ourselves at the Tennessee State Capital one day, and to escape the heat we headed inside. We ended up doing a self guided tour and really enjoyed it! The building is beautiful and full of interesting history that's succinctly described in the tour booklet. Afterwards, we grabbed some coffee and macarons at Provence Breads & Cafe. Somewhat nearby this area is the old Marathon Motorworks building. This was another random find that turned into a great time. It's an old motorworks building that's been converted into shops and restaurants, and oddly enough, multiple distilleries and a winery. For $8 we did a tasting of 8 wines at Grinder Switch Winery and enjoyed wine slushies. We then headed over to Corsair for a whiskey tour and tasting. It was really cool to see how these extremely small producers make their respective alcohols and get a taste of things that aren't available at home! Sorry for the extremely long post, but I hope if any of you find yourselves in Nashville that this guide will help! I hope you all had a wonderful 4th of July! I spent mine at my lake house after getting back from Nashville on Saturday night. We went for a four night, five day trip and absolutely loved the city. 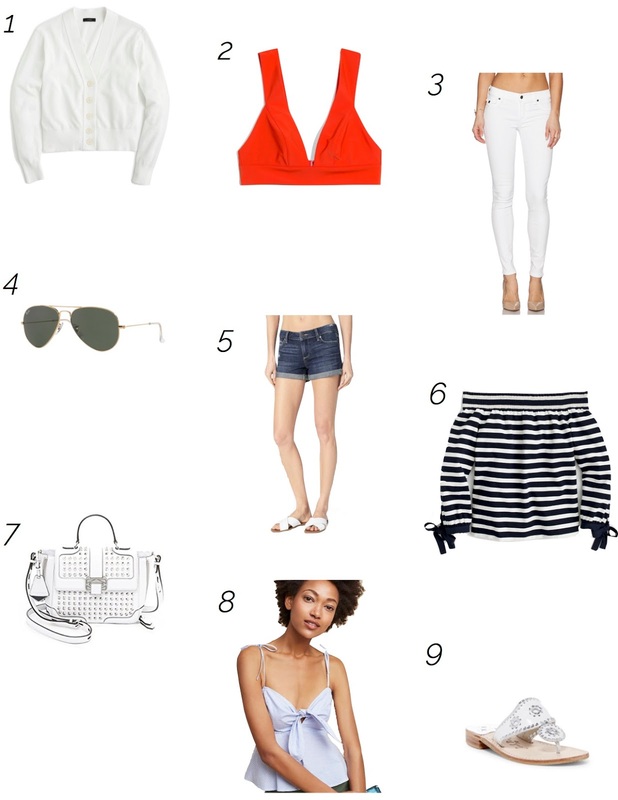 I'll be rounding up everything we did in a separate post but I thought I'd start with my packing list.